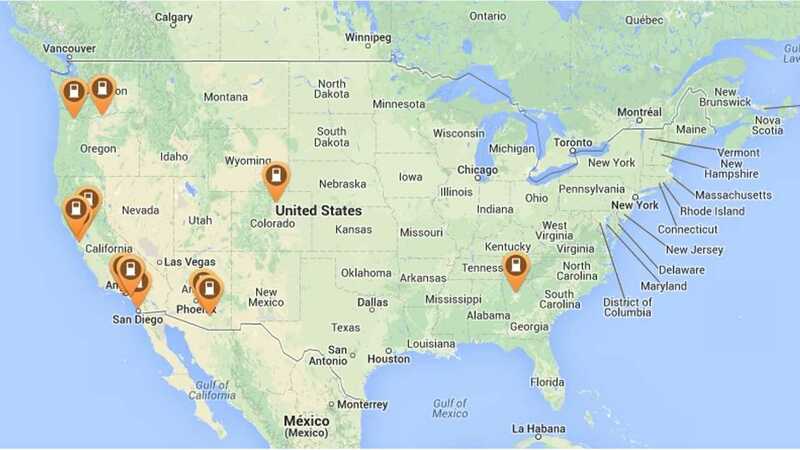 Because we're aware that EV community from time to time has asked for a fast charging points map for North America, we decided to present how it looks in June of 2014. 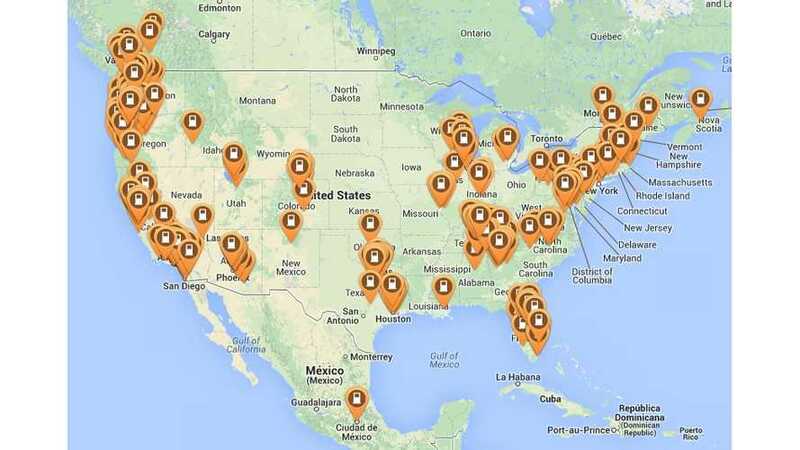 Thanks to the invaluable PlugShare interactive map, we can see DC quick chargers map which include both CHAdeMO and Combo standard plugs. Of course, most of them are CHAdeMOs, as there are less then 15 Combo chargers in the US, a few of which have "coming soon" status. Official numbers for CHAdeMO from CHAdeMO Association from April 22 stands at 592, but in trying to count all dots on PlugShare we found less (even including Combo and Canada and remembering to check Hawaii outside of the map). Moreover, some CHAdeMOs also are "coming soon". The number of CHAdeMO DC Quick chargers installed up to today is 3688. Anyways, the CHAdeMO to Combo ratio exceeds 50:1 in the U.S. In Europe, the advantage is more like 7:1. 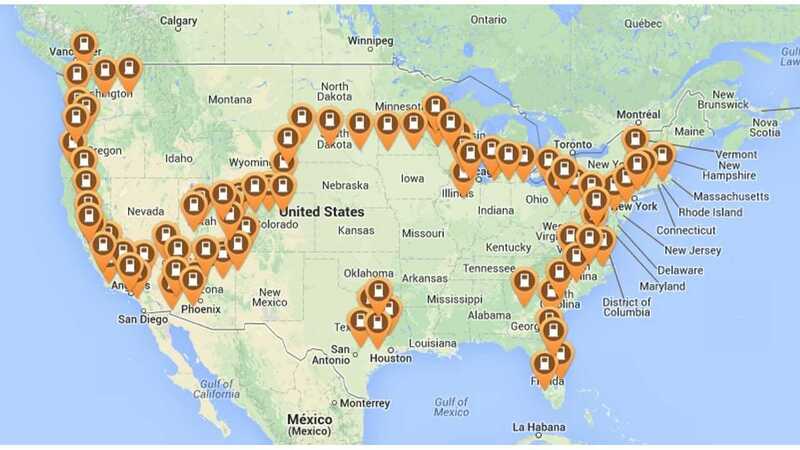 Finally, we see the Tesla Supercharger map, which is approaching 100 in the U.S., but due to their nature (manufacturer owned, higher power, free to use, several units at each location) we should treat them as slightly different animals.